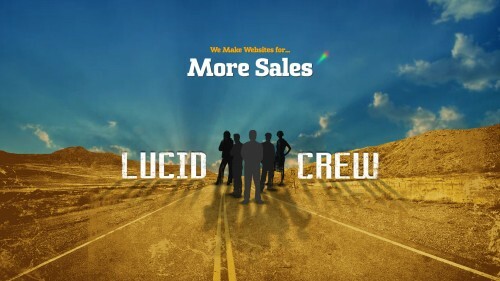 Lucid Crew is a full-service Austin web design and development firm. We’ve been in operation since 1999 – enough to see dozens of other web design firms fall and rise. Why have we continued to prosper? Perhaps it’s natural charm, our good looks, and great dental hygiene. Or perhaps it is any one. At Lucid Crew, we let you go and then don’t just design your website. We keep a positive business relationship, helping your website to grow and change along with your business. When you hire us, you don’t only get a one-time service provider – you get a partner committed to your success. A web design firm that keeps its promises is more challenging to come by than you’d believe. At Lucid Crew, we take pride in doing just what we say we’ll do. We don’t miss deadlines; we don’t go over-budget; and we don’t deliver less than we guarantee. If we say we’ll do something, we will – it is that simple. We work with customers of all sizes, from one man start ups to corporations with hundreds of employees. We’ll deliver a quote on the basis of the budget you have, and work to develop a design that does what you need – within your financial plan. Get in touch anyway, in case you believe you can not afford us. You might only be happily surprised.